Living in Palm Beach could mean that the debris that is on your property is not always your own. Every major storm has the potential to “drop” in things like palm fronds, roof shingles, sand and other kinds of trash. Even though you might be able to trace some of that debris back to a neighbor, once it is on your property it becomes your problem to deal with. Thankfully, one call to Junk King Palm Beach will get your big debris pickup handled in a flash. Of course, not every big debris pickup is the result of a storm aftermath. You could also require getting items like a piano or pool table hauled away. What about a washer and dryer that needs to be replaced? Junk King can handle all of those types of removal. The first thing to know about the crews working for Junk King is that they are all licensed and insured. That sets them apart from the day laborers who roam the streets in a rusty pickup looking for junk. Can you really trust those characters? The Junk King crews also show up with a “no problem” attitude. This is very important on those more challenging jobs. 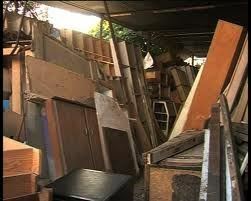 In the past, Junk King crews have been called on to take apart all kinds of bulky objects to fit them out of the door. They’ve also crawled under porches and climbed up into dusty attics to get at the junk. Remember, they do all the work and that means you won’t be putting your back at risk. When it comes to pricing, you won’t be charged by how difficult it is to take something from your home. You also won’t be charged by the pound. That will make a huge impact on that final fee. With Junk King’s prices, you’ll be charge by the amount of truck bed space your junk will use up. This is a flat fee that covers all aspects of the job from start to finish. If you were to price out a truck rental, crew charges and your own time it could be a very expensive proposition. Not with Junk King. When you need big debris pickup and junk hauling done the fast and affordable way, then you need Junk King. This entry was posted in Palm Beach Junk Removal and tagged Big Debris Pickup, Junk King, junk removal on February 21, 2016 by Dave Archer. Last updated July 31, 2017 . The words “junk” and “valentine” don’t seem like a perfect combination. However, if you’re looking for the kind of special Valentine’s Day gift that will last a lot longer than flowers or candy, then consider Junk King. These are the junk removal specialists who are sure to generate a lot of smiles for your significant other. Just ask yourself, would they like a box of chocolates more than a junk free home? Junk removal could make you a Valentine’s Day hero. Junk King has quickly become Palm Beach’s number one professional junk hauler based on those kinds of recommendations. It’s easy to set up an appointment with Junk King. That can happen over the phone or online. If you call early enough in the day, then you might even be able to snag a same day appointment. You might have lived with your junk for long time but one call to Junk King can make it “disappear” in a flash. “I had a whole house to clean out that was left to me by my 95 year old aunt when she passed away. Junk King has an easy and convenient online appointment scheduler, they called in advance and arrived on time, the workers were clean and presentable, they did a great job of packing everything on the truck to use every inch possible and they cleaned up (swept) once the house was empty. That was more than I expected! Awesome job and their business card will stay at the top of my card file! Highly recommended!” Cindy M, Lake Worth. Junk King can handle all kinds of junk removal jobs from just clearing out a closet to cleaning out an entire home. You’ll have all the manpower and truck space you need to take care of all your junk hauling needs. 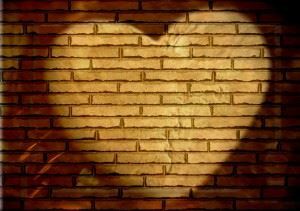 Make this Valentine’s Day a special one with junk removal from Junk King. This entry was posted in Palm Beach Junk Removal and tagged Junk King, junk removal, valentine's day on February 1, 2016 by Dave Archer. Last updated July 31, 2017 .